Write a noun, verb, or adjective on each paper plate. Lay the plates out in an open space outside. Play music and kids dance from plate to plate. When the music stops, the child picks up the plate and keeps it. The goal is to collect one noun, verb, and adjective plate. 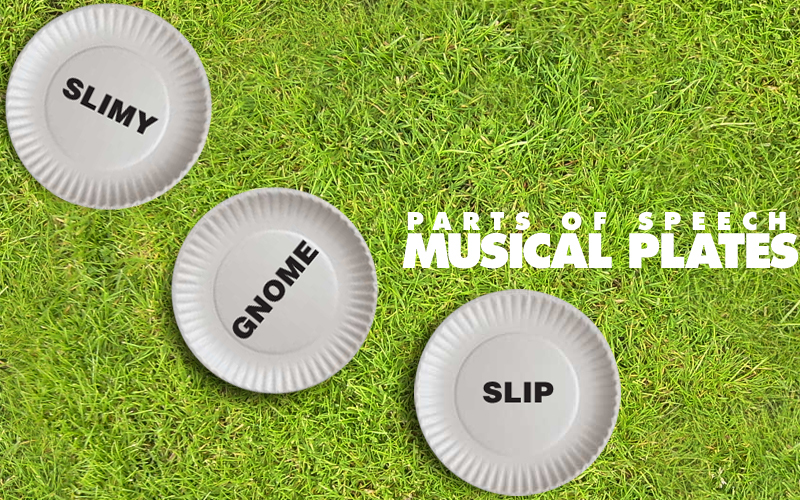 If the child lands on a noun when the music stops, and he already has a noun, he doesn't keep the plate. Once everyone has each part of speech, they use their creativity and imagination to create a unique sentence using the words they collected on their plates!